“I work like a dog unearthing its bone” says Daniele Ricci, creator of Rebus. A white wine made from the Timorasso varietal, which according to the winemaker, is an almost unknown Piedmontese grape that is the best expression of the Tortona hills. We totally agree with Daniele, Timorasso is one of our favorite and most unique Piedmontese whites. 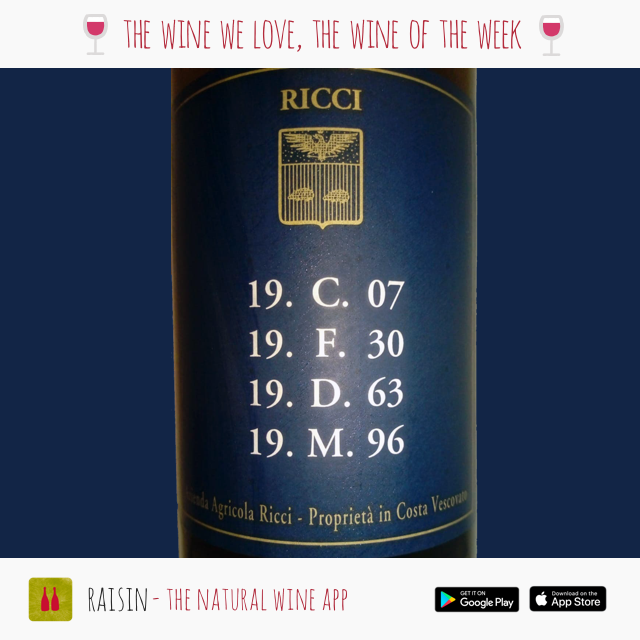 In order to express such interesting qualities of the grape, Ricci says that he searched for the maximum expression of organoleptic properties through an experiment where he minimized interaction between the wine and the outside world. A part of the 2007 harvest was vinified entirely in steel, then bottled into double magnums. After a few months in the cellar, the bottles were stored two meters below ground level in a cement cuve, where the wine rested for 8 years – in its own world, with constant temperature control, and complete darkness! In 2015, the double magnums were unearthed, and put into 1,000 bottles. The result, is a fine and elegant wine that is incredibly drinkable, but also has a beautiful complexity. There is a pleasant hint of hydrocarbon, which is a classic sign of aged Timorasso. Daniele argues that this is one of his most balanced wines, as it best reveals the character of the varietal…perhaps because of the minimal intervention of the winemaker! Rebus is a tribute to the roots. In fact, the label shows the initials and birth year of four generations of the Ricci family, who have always been believers in Timorasso, unlike many other winemakers in the area.